Whether you’re looking to shop local, save money, or find unique goods, a farmers market is a great way to do all three. Get out, get some sunshine, and stroll around a farmers market for your weekly groceries. 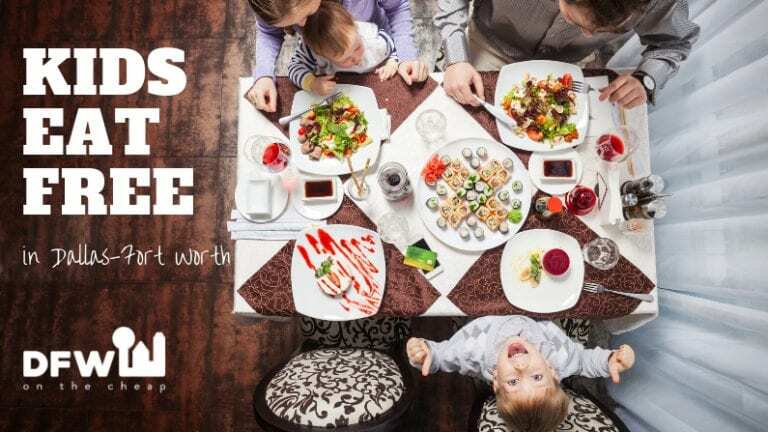 It’s a great way to support local farmers and the slow food movement. There are plenty of ways to find fresh, local produce in Dallas- Fort Worth, including brick and mortar stores or weekly gatherings. We’ve rounded them all up and brought you the information you need before you go! Farmers Market at the Shed– Open Friday, Saturday, and Sunday, here you can find all of your culinary needs. Choose from fresh produce, locally- sourced honey, freshly butchered meats, farm fresh eggs, and more. They open at 9 am on Saturday, 10 am on Sundays, and hours vary on Fridays. Casa Linda Farmers Market– Located in an historic neighborhood, this market has plenty of produce, eggs, honey, meats, and dairy. They’re open Wednesdays from 12 noon to 4 pm. White Rock Lake Farmers Market– Here, you’ll find all of the traditional market needs- produce, meats, locally- sourced honey, and more. They also have artisans, freshly prepared foods, and baked goods. They’re open Saturdays from March through December, 8 am to 1 pm. Farmers Branch Market- This round up of fresh produce, home made salsas, and farm fresh eggs also has live music, kids activities, and frequent events. They’re open every Saturday from May through September from 5:30- 8:30 pm. Grand Prairie Farmers Market– Located at Market Square, this market has everything from freshly baked chips to handmade soaps. They also carry fresh produce, honey, and prepared foods. They’re open Saturdays starting March 6th through mid- December from 8 am to 1 pm. Saint Michael’s Farmers Market– Voted one of the best in the Dallas- Fort Worth area, this market offers awesomely fresh produce, freshly prepared foods, baked goods, salts, meats, knife sharpening, granola, and much more. They’re open Saturdays starting April 27 from 8 am to noon. 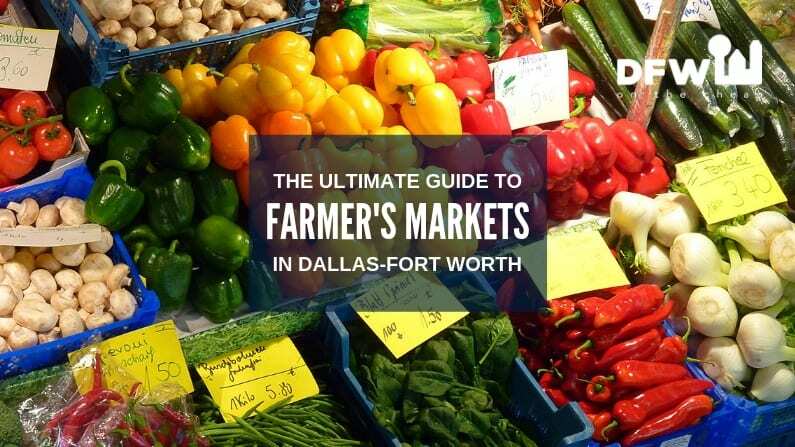 Richardson Farmers Market– You’ll find all the regular staples here from farm fresh eggs to grass- fed meats. They’re open Saturdays from 9 am to 2 pm. Clear Fork Farmers Market– This huge market is open Saturdays year round. Starting in April, the market is open 8 am to noon. During winter, they open at 9 am and they close in cases of extreme temperatures or weather events. An amalgam of local farmers sell their produce, as well as artisanal foods, coffee, baked goods, ghee, popcorn, and much more. Cowtown Farmers Market– Open Saturdays from 8 am to noon, this market brings fresh produce from farms within a 150 miles radius of Fort Worth. They also have coffee vendors, dog treats, cheese, bakeries, and more. Rufe Snow Farmers Market– Just between Fort Worth and Grapevine lies a market on Rufe Snow. They’re a storefront and open every day. You’ll find mostly fresh produce and garden plants plus home made chips and tamales. Ridgmar Farmers Market– This storefront located at Cowtown BBQ has fresh produce, baked goods, honey, seasonal items, art and handmade goods, and a cafe. They’re open every day from 8 am to 6 pm. Coppell Farmers Market– Setting up on Main Street in Coppell, you’ll find seasonal produce, seedlings, herbs, handmade candles, baked goods, nuts, prepared foods, meats, seafood, and much more. They’re open Saturdays from 8 am to noon every weekend starting April 6. Keller Farmers Market– Opening May 4, this market has a waiting list for vendors because they’re so popular. Find fresh fruits and veggies, nuts, cheese, meats, tamales, fudge, art, soaps, paper flowers, and much more. Stop by between 9 am and 1 pm. Wautaga Farmers Market– Starting March 31st, they’re open Sundays from 10 am to 2 pm. Enjoy handmade soaps, fresh seafood, woven purses, fresh produce, baked goods, olive oil, and more. NRH Farmers Market– North Richmond Hills Farmers Market is an indoor/ outdoor market and offers fresh produce and plants. They also have canned foods, candied nuts, Boarshead meats, pottery, and more. They’re open every day until 7 pm. Colleyville Farmers Market– Located at the center of town on Main Street, this Thursday market is open every week from 9 am to 1 pm. They have produce, meats, cheeses, soaps, crafts, and more. Mansfield Farmers Market– Starting April 20, this market has produce, locally raised meats, jams and jellies, soaps, herbs, and more. They’re open Saturdays from 8 am to noon. Farmers Market Arlington– Located in Downtown Arlington, you’ll find several farms and co- ops present. They also offer cupcakes, sugar scrubs, essential oils, kettle corn, and more. It’s held every second Saturday from 2- 6 pm.